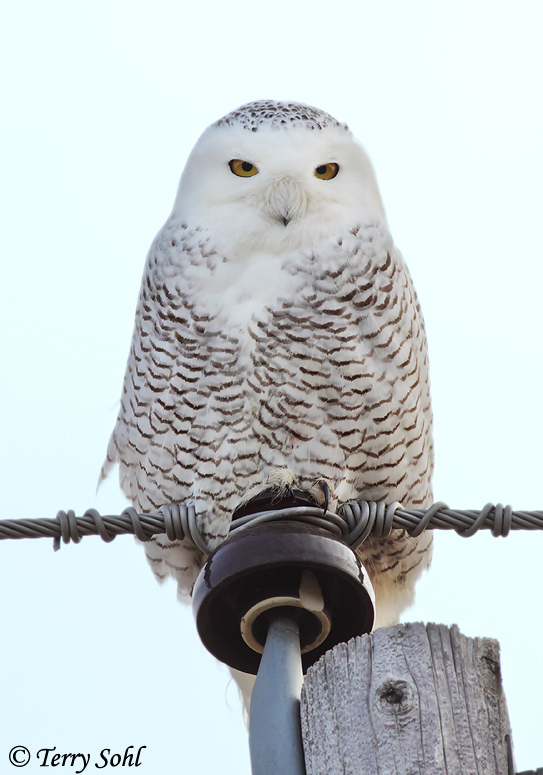 This photo of a Snowy Owl was taken on December 23rd, 2011 near Lake Andes in South Dakota. The backlighting was really bad, and he was up on the top of a telephone pole, but how could you resist taking a photo of that stare? Photo taken with Canon 50D, 400 5.6L lens.